I love how independent the course has made me, and how I now feel prepared and confident to go into the world of work. Gabrielle has recently won a prestigious RSA Student Design Award. 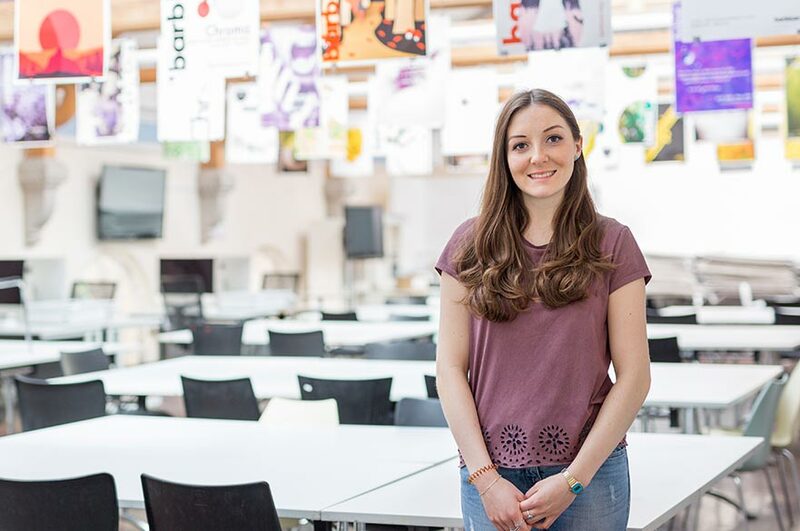 "I chose NTU because of the space I would study in, such as the amazing studios and resources. The course structure sounded great, and all of the tutors were lovely and inspiring on open days and at my interview. "I've enjoyed the wide range of work I got the chance to execute and the progression into more self-initiated learning. I love how independent the course has made me, and how I now feel prepared and confident to go into the world of work. “I like how there is access to equipment that enables you to finish your work to high professional standards – like the screen printing equipment and large format printing. The wide range of resources also means that there are rarely any limits to what you can produce. “My favourite live project was a brief with studio Vault 49 in New York. It was a branded campaign, promoting the care and consideration of oyster in New York City. I loved it because it threw me into a whole different subject matter, and learning about new random subjects is super exciting and motivating for me. “When I found out I had won an RSA Student Design Award I felt really, really shocked and surprised and I couldn’t believe it – but I am extremely happy, pleased and proud of myself! "I love living in the city centre with everything so close and accessible. There are great facilities and a good vibe. Nottingham is an exciting city with lots going on and things to do, like Nottingham Contemporary and loads of lovely places to eat."